Edmonton will be one of six cities included in a new professional basketball league scheduled to start a year from now. Teams in Saskatoon, Hamilton, St. Catharines, Ont., Guelph, Ont., and Abbotsford, B.C. will round out the Canadian Elite Basketball League. The CEBL will have a 20-game regular season, with playoffs and a championship series set for August 2019. Edmonton's team will play home games at the Edmonton Expo Centre which seats about 4,000 people. 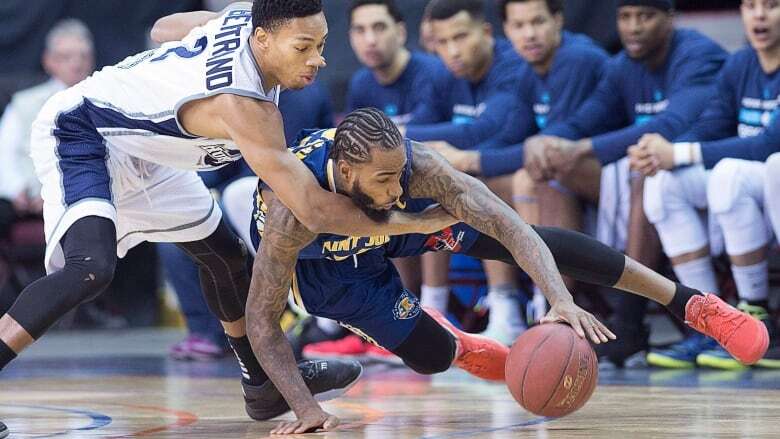 Previous professional basketball teams here — such as the Edmonton Skyhawks and the Edmonton Energy — have come and gone, but Lee Genier, president and chief operating officer of the league's western teams, said this one will be different. "It's going to be a fan experience," he said Thursday on CBC Radio's Edmonton AM. On its website, the CEBL promises "edge-of-your-seat excitement" and a family-friendly environment. Genier said the league conducted feasibility studies on potential cities, looking closely at demographic and income data. "There's a good blueprint here that we've put together and we're going to take it out with a lot of energy and excitement," he said. Genier is experienced in leading a thriving professional team in a smaller city. He became the president of the Saskatchewan Rush after the lacrosse team relocated from Edmonton. The team has proved popular in Saskatoon since the beginning, often nearly selling out a 15,000-seat stadium. Most players will come from the United States and Europe, but Genier said the league intends to include three-to-four Canadians on each team's roster. According to former university coach Greg Francis, who will recruit players and coaches for the league, many top Canadian players travel to Europe to compete during the summer. "Now they will have an opportunity to play here in their own backyard with other international stars," he said in a press release Wednesday. The CEBL plans to have fans help pick names for each team. The league also plans to announce "grassroots community initiatives" later this summer. Richard Petko, a businessman and basketball fan, is the league's lead investor.